Curcumin protects DNA against damage by free radicals and reactive oxygen species. 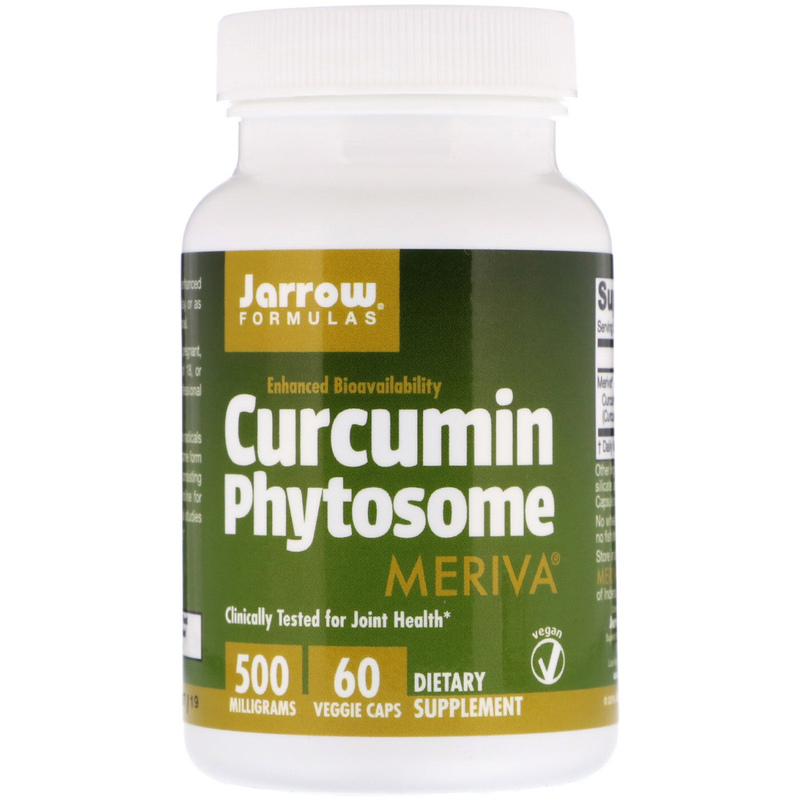 Meriva, a phytosome form of curcumin, is a patent-pending ingredient consisting of curcumin extract bound to phosphatidylcholine for increased absorption and bioavailability. 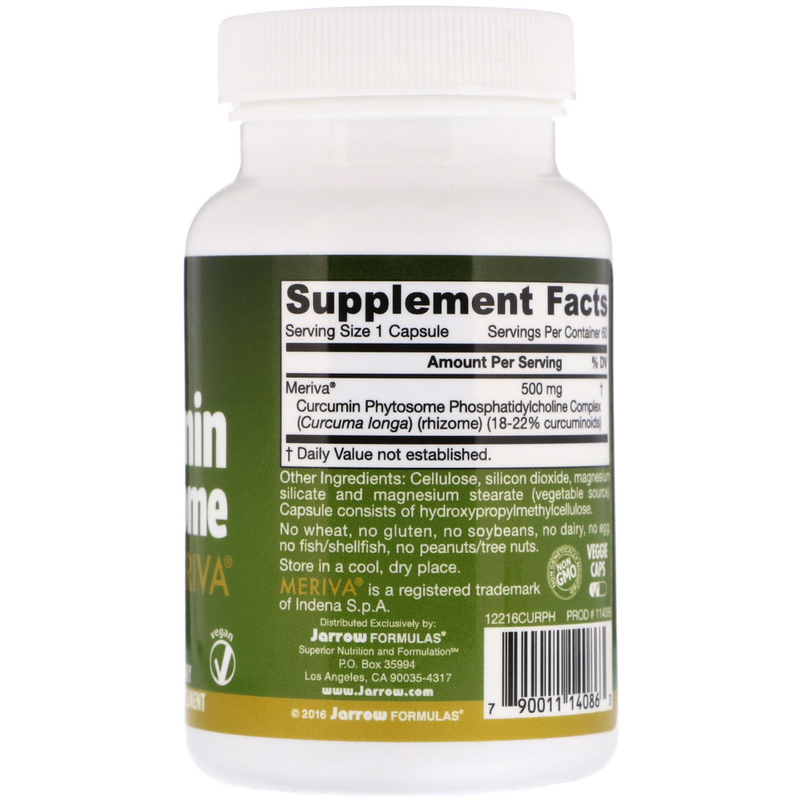 Clinical studies show that it promotes joint health and flexibility. Take 1 capsule per day with food; for enhanced joint protection, take 1 capsule 2 times per day or as directed by your qualified healthcare professional. Cellulose, silicon dioxide, magnesium silicate and magnesium stearate (vegetable source). Capsule consists of hydroxypropylmethylcellulose.